‘4 To The Floor’ is apparently the series for true house heads, presenting sounds for those who like to look beyond the frequently-played hits. Taking in both classic and contemporary material, the second volume in the series scratches house music’s often polished surface to reveal 50 house music tracks. DJ/producer legends like Kerri ‘Kaoz’ Chandler and ‘Little’ Louie Vega are present and correct, whilst the likes of Red Rack’em and Gerd Janson are amongst those apparently operating at the scene’s cutting edge. The full spectrum of underground house music from across the globe is represented: bouncing dubs from Solid Groove and Cevin Fisher feature alongside iconic vocals from Robert Owens and Ultra Nate, and tech-laced cuts from Guti and Deetron rub shoulders with soulful numbers from Quentin Harris and Osunlade. 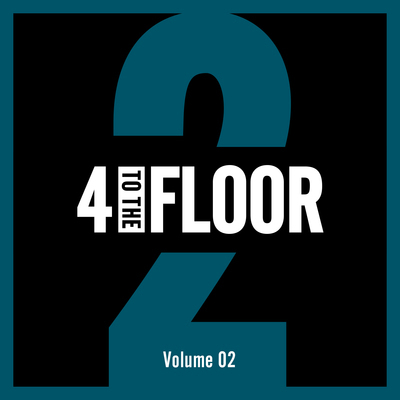 Presenting the music as the producers intended, in full-length, unmixed format, ‘4 To The Floor’ Volume 02 may well be an essential release for DJs and true house music connoisseurs alike. It’s out 20 January on ITH Records.